Ohhhhhhhhhh. Yeah, this is it. Are you tired of the same ole boring lettuce wraps? Are you feeling restless and worn out from the mundane routine of lettuce wrap chomping? Are you dreaming of a time and place where nothing matters and you can run footloose and fancy-free in the streets in that new Stevie Nicks circa 1982 costume you just bought at the thrift store down the street? Because I’m not, heehee ha ha! ha. I was just wondering if you were. Look, if there was ever a time to perk your ears, hark your face, and heed your head, it is now. Let’s start with Exhibit A. I’d like to draw your attention to what’s occurring in these next two photos. Now let us observe Exhibit B. Now, shall we direct our attention to Exhibit C.
I’m not kidding you, these are some of the best chicken lettuce wraps I’ve ever eaten. The limey chipotle sauce has that magical kick in the pants that I crave, even though that came out borderline psychopath. The roasted corn and diced red bell pepper offer just the right amount of crunch to satisfy my teeth, even though that sounds completely creepy. And the fresh scallions just pull it all together so beautifully, it gives me the confidence to run down the street in that new Stevie Nicks circa 1982 costume I just bought. Oh wait a minute! That wasn’t me. I forgot. 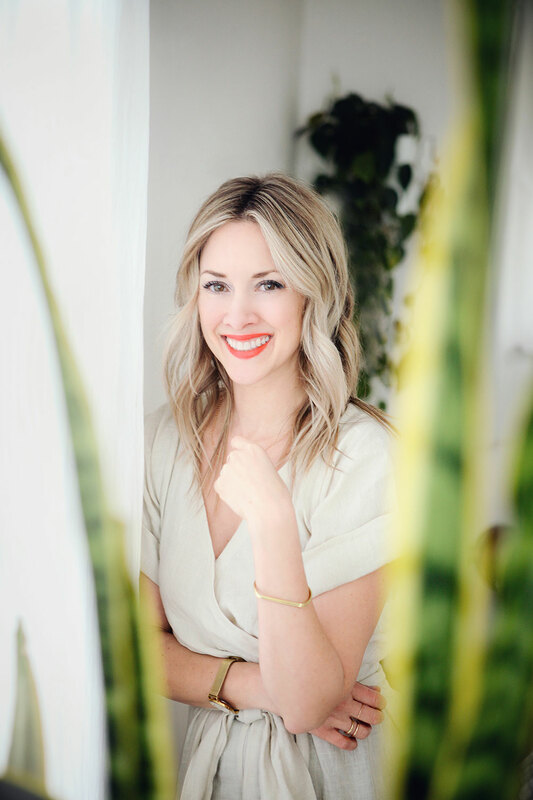 Also, I just got some new editing software, so please be patient with me over the next 67 years as I tightrope walk over a tank of ravenous alligators and butcher the ugh out of these photos. Stupid learning curve. Yep, these are definitely it. Turn on the broiler. Arrange the corn on a rimmed baking sheet with a Tbs. of oil and a pinch of salt and pepper. Broil the corn for about 5 minutes, or until they start to slightly char and turn crispy. You can toss them a couple of times throughout. Set aside. Heat the remaining 2 Tbs. 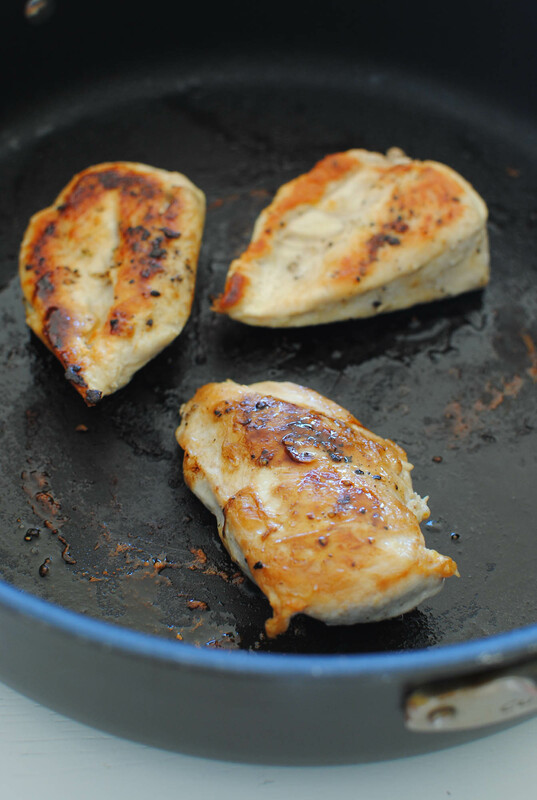 oil in a large sauté pan over medium-high. Season the chicken with salt and pepper and sear for 6 minutes on each side until cooked through and browned all over. Move to a cutting board and let sit for 5 minutes. Then dice the chicken. 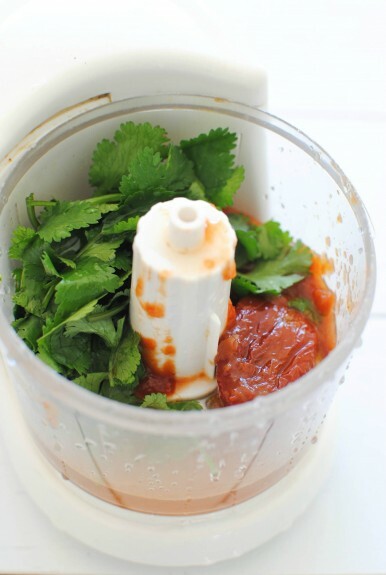 In a food processor, combine the cilantro, lime juice, chipotle peppers and the adobo sauce. Process until smooth. 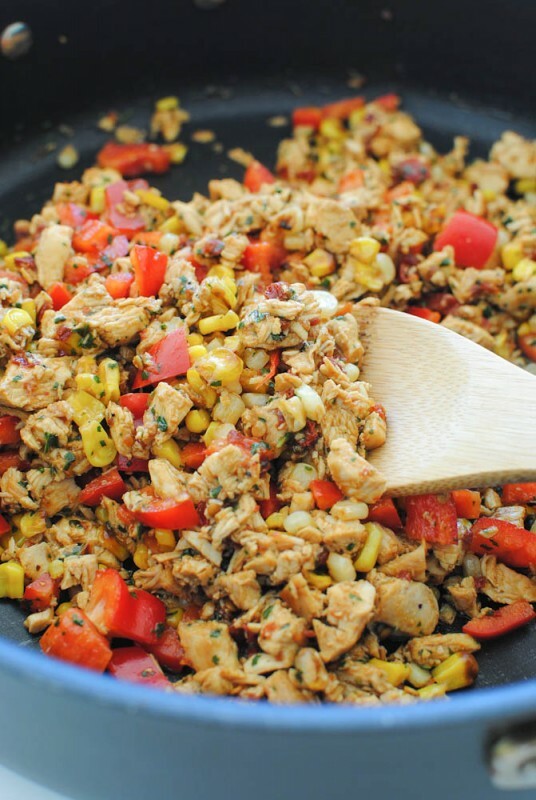 Add the chicken back to the pan, along with the chipotle sauce, freshly diced red bell pepper and roasted corn. Toss until combined. Serve a couple of Tbs. (or more if you’re a freak like me) of the chicken mixture in each lettuce cup and garnish with scallions! Meatless Monday? I’m just kidding, hahahaha! Oh. It's been WAY too long since I've had these. Gotta fix that! Dinner this week. Done. Thank you. 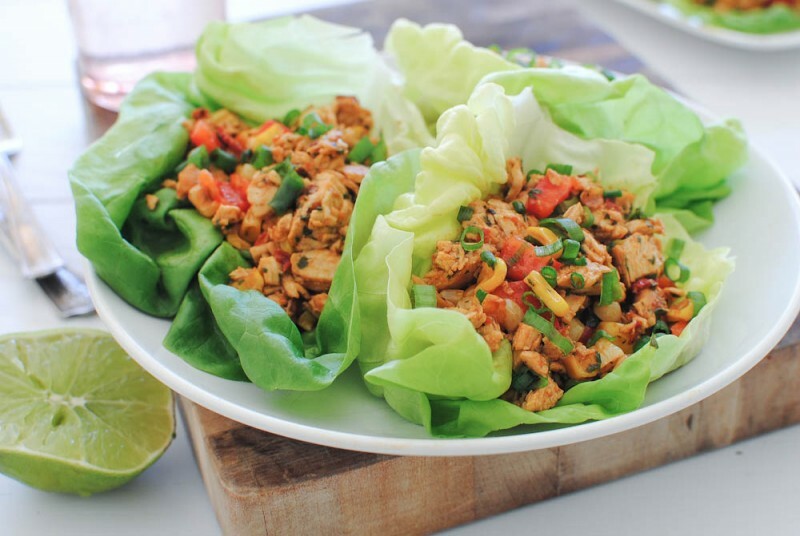 Anything in lettuce wraps = healthy, which means I can eat fifteen of them if I want. True story. 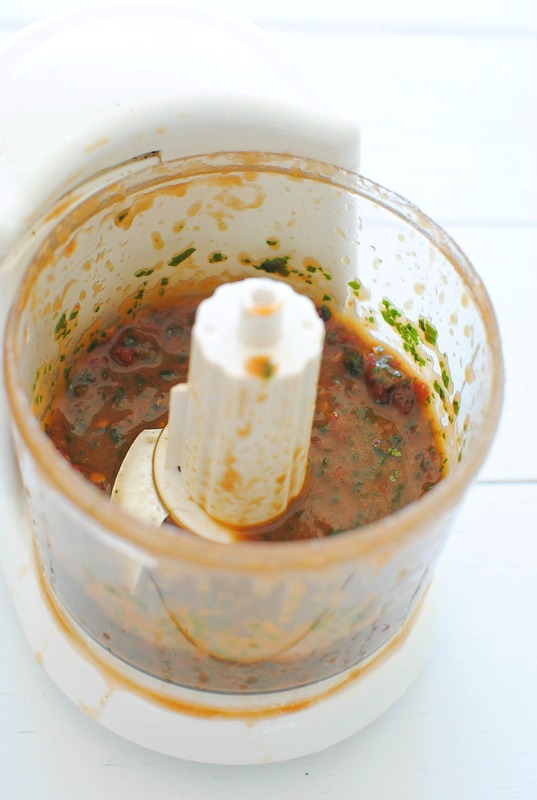 Girl, your making me crave summertime with this recipe. Hand me a refreshing cocktail and one of these lettuce wraps and I'm all set! Dyyyying over these. Love 'em, Bev! Oh my! This has my name written all over it. I am trying this one for sure. And I just love butter lettuce too. I just might try to make this tonight, if not tomorrow for sure! I made this for dinner tonight and it was really good. The only thing I did different was I roasted the red peppers and took the skin off. I ended up just putting the adobo sauce and no chipotle peppers. Next time I will add just one. My husband freaks out if it's too hot so I had to start out mild. I used adobo sauce from a can. Is there any difference from the one you find in a jar (couldn't find it at the store)? I really liked using the butter lettuce instead of tortillas. The lettuce made it very refreshing. You know... as boring as lettuce can be, it's a great way to get delicious food into your mouth. So, I say go for it. I sometimes use cabbage for falafel wraps. Hey, it's healthier than pita... which means you can eat ice cream after (not like I wouldn't anyway). I'm going to open my mouth, you're going to use the lettuce as a funnel and just drop the chunky chicken and veggie parts right in, k? I am SOOOOO excited to make these this week!!! What a beautiful recipe, great job! So funny - I just bought iceberg for the first time in ages to make lettuce wraps. Love these! I can't wait to broil corn. 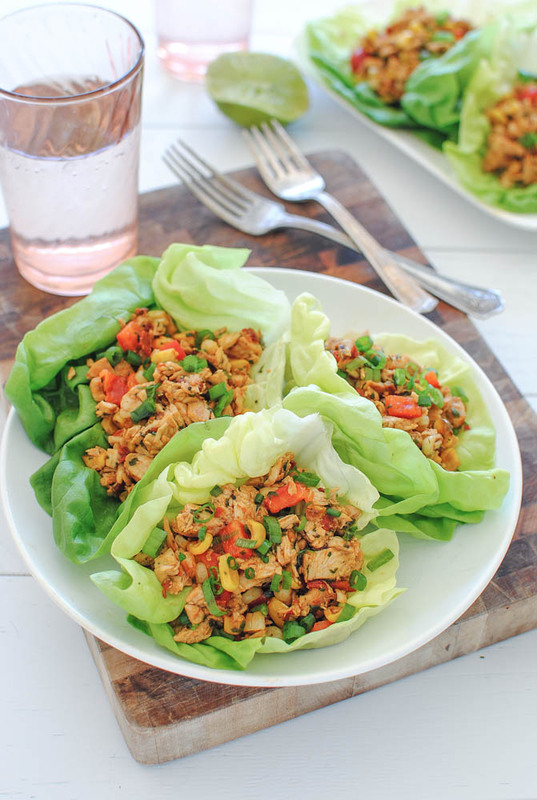 I love lettuce wraps and these are so bright and cheery Bev! Ooo, love it. Making these tonight! Wow these looks so tasty! Lettuce Wraps are my jam! But like you said they can get pretty boring. Not these though. They look packed with flavor. Meatless Monday indeed. Photoshop? I'm getting it soon, but I'm a little worried about the learning curve... These wraps? Too much awesome. oh gurl, i wanna get wrapped up in this!! Duuuuudeeee. I think I do know. These are awesome. The flavours in these sound just incredible. Yum yum! SO much better than the average lettuce wrap! And prettier too! 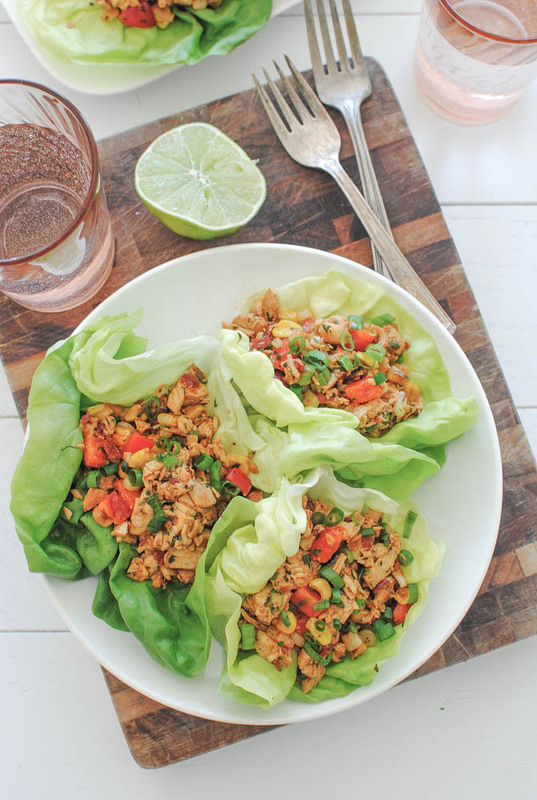 Love these lettuce wraps, fresh, crunchy and full of flavor! Love your pictures! Oh. Em. Gee. I need these for dinner tonight! Love, love, love! 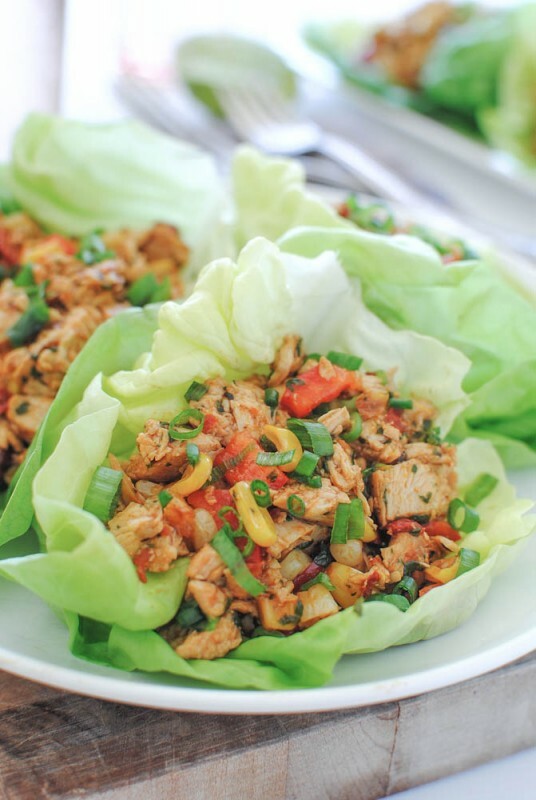 These really do look waaaay better than any lettuce wraps I've ever had! 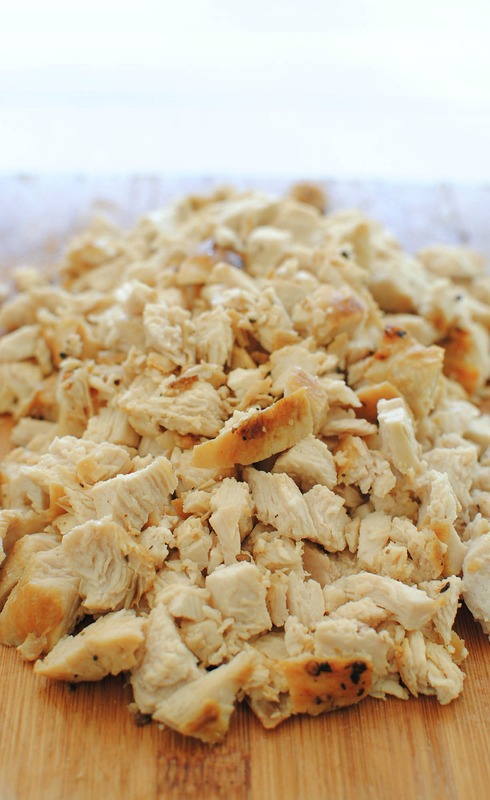 I have used savoy cabbage for the wrap and it works great. Gives a little peppery taste and it is stretchy so it tears less. 30 seconds in the microwave doesn't hurt either. That's an awesome tip! Thank you, Kimmie! im pregnant, just seeing that lime, makes me want this bad! thank u ! trying it out 4 sure! u rock! I made these wraps today! They were amazing! Thanks for posting the recipe! Made this for low-carb dinner/lunch for daughter. Couldn't find adobo sauce or chipotle peppers (in Utah) so improvised with chipotle salsa and some chipotle spice which blended with olive oil and the salsa. My daughter hates red peppers so she wouldn't let me add but if u like adds a nice dash of color. Came out amazing with adding a dollop of sour cream. Took picture and was my first Instagram post. Stored great for lettuce wraps during week. Thanks Bev. Made these tonight for dinner and they were AWESOME. I added a little honey to the sauce though to balance the spice and it was so good! Would you happen to know the nutrition facts on these?